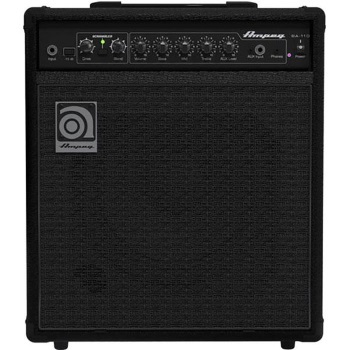 The 35-watt Ampeg BA-110 bass combo is perfect for beginning bassists, offering tools like 3-band EQ, CD/MP3 input and a headphone out for silent practice. The high-output 10" speaker is housed in an ultra-rugged cabinet with a ported baffle for excellent low frequency extension. Speaker configuration: 1 x 10"